To have a celebration! One with a serious purpose "Saving The Earth" to continually foster the emergence of a new green economy - an economy that is sustainable, healthy, ethical and earth friendly. 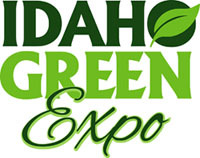 They've even transformed a exhibit hall into a large classroom full of educational and interactive displays that will show you how to be more sustainable in your home, in your garden and in your office. Thank you, MaryKarma, for adding this solar event to the directory. I added some additional information to your post because it looks like such a great expo.